We hope you will enjoy our eleventh quiz about the geography of Mexico. Good Luck, enjoy, and Happy Independence Day! September 16 is celebrated as Mexico's Día de la Independencia (Independence Day). In which year did the Independence War end and Spain accept that Mexico had become independent? See Happy 200th birthday, Mexico! Mexico is the world's largest producer and exporter of which of the following? Which of Mexico’s river systems is the largest in terms of annual discharge (total flow/year)? In terms of total population, how does Mexico compare with other countries? Mexico's second city of Guadalajara, in the state of Jalisco, is in the temperate zone of Mexico at an elevation of 1550 meters above sea level. In which months does Guadalajara receive most of its rainfall? Which of Mexico's major resorts is shown in the photograph? Mexico City’s airport accounts for about 35% of the national total number of passenger movements, followed by Cancún (10.5%), Guadalajara (9%), Monterrey (7.4%), CITY X (5.3%), and then Puerto Vallarta and San José del Cabo (each with 3.6%). Which city is CITY X ? Who or what is Kidzania? Hmm.... time to read Geo-Mexico! Read Geo-Mexico and geo-mexico.com more often! We hope you will enjoy our tenth quiz about the geography of Mexico. How many of the following can you answer correctly? If you answer a question incorrectly, you can have more tries before the answer is revealed. This Magic Town in Yucatán state is located about half-way between Mérida and Cancún. Founded in 1543, it is an attractive colonial city, with wide streets, pastel-colored walls, and numerous superb colonial buildings, such as the Cathedral and the Franciscan mission of San Bernardino de Siena (in the city's Sisal district). It is close to archaeological sites and natural wonders like Cenote Zaci (a landscaped limestone sinkhole or cenote). Which city is being described? Odd crop out: Which of the following did not form part of the Aztec diet? Which of the following terms is the best description of this picture? 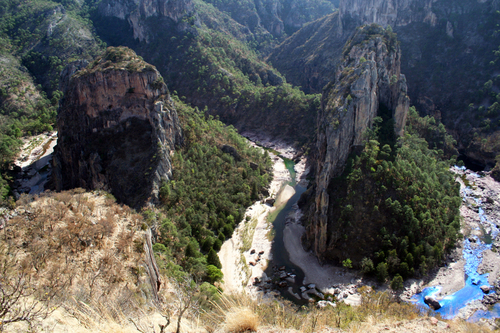 See How were the canyons in the Copper Canyon region formed? Which of the following three statements are true? Mexico is the world's leading producer of gold. Mexico is the world's leading producer of silver. Durango is Mexico's leading silver-producing state. The indigenous descendents of the Tarascan Empire in western Mexico still speak which native language? The climate of the tourist resort of Cancún is in the "tropical wet and dry climate" category. When does the resort normally experience its heaviest rainfall? The report “Doing Business en México 2014“ (World Bank/International Finance Corporation) analyzed the regulatory business environment for every state. According to the report which of the following pairs of states offered the best opportunities for small and mid-sized business? See Which are the best states in Mexico for doing business? Which of the following is Mexico's highest mountain peak? Hmm.... it must be time to buy (and read!) a copy of Geo-Mexico! Perhaps you need to read Geo-Mexico and Geo-Mexico.com more often? Great work! Great job! Why not submit a guest post to Geo-Mexico? Perfect! You should be writing for Geo-Mexico and compiling the next quiz! Welcome to our ninth quiz about the geography of Mexico. If you answer a question incorrectly, you can have more attempts at each question before the answer is revealed. Mexican states are sub-divided into municipalities (municipios). 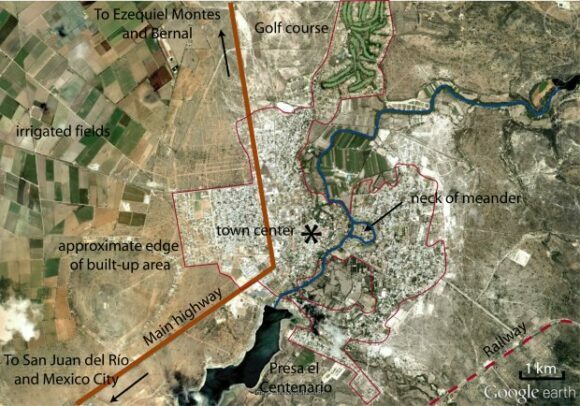 Approximately how many municipalities are there in Mexico? Which of the following areas of scenic importance had its status downgraded from National Park to Wildlife Reserve in 2013? Which of the following rocks is the main raw material for making cement? This small city (2010 population: 45,000), in the state of Chiapas, was founded in 1528 and is located where the PanAmerican Highway crosses the River Grijalva, 15 km east of the state capital. Its massive La Pila fountain, dating from 1562, is one of the most distinctive structures anywhere in Mexico. Tourists to this city can visit a well-preserved 16th century church/monastery and a museum dedicated to traditional local lacquer work, but the city is best known to tourists as the starting point for boat trips along the Grijalva River into the Sumidero Canyon National Park. Which city is being described? 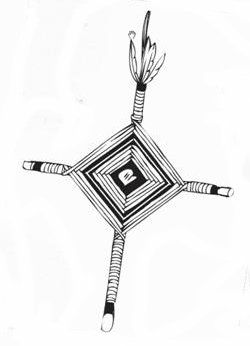 Yarn crosses (often mistakenly referred to as “God’s Eyes”) such as this one are a traditional craft of which of the following indigenous groups? “The ongoing processes of trade and communication that now integrate the 21st century regional economies have created numerous territories of abundance. Among these spaces the maquiladora landscape, in the northern border of Mexico, has seen the greatest change in the last 50 years.” Which of the following best describes what a maquiladora is or does? Which economically-important tree product is represented on this logo? 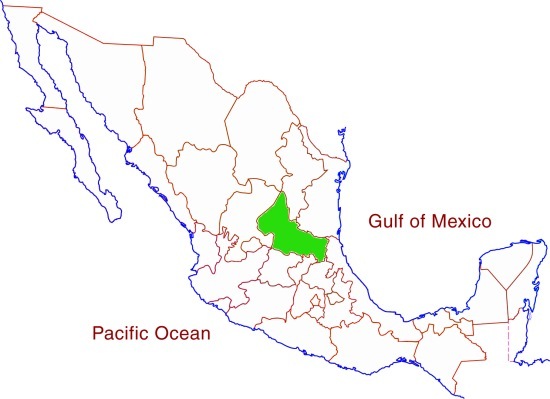 Welcome to our eighth quiz about the geography of Mexico. Which of the following states has the highest population density (people/square km)? Which of the following cities is the state capital of Veracruz? This iconic marine arch is close to which of the following tourist resorts? Mexico is the world's 15th largest producer of cement. Approximately how many cement manufacturing plants (plants, not kilns) are there in Mexico? "The geographical network of telesecundarias is truly amazing." What are telesecundarias? Mexico is the world's 9th largest vehicle manufacturing country, and one of the world's leading vehicle exporters. Approximately how many vehicles are produced in Mexico each year? This annotated Google Earth image of a spa town where tourism is important shows which of the following towns? Studies have found that the average daily commuting time for workers in Toronto (Canada) is 80 minutes a day round-trip, compared to 68 minutes in New York, 56 minutes in Los Angeles, and 48 minutes in Barcelona. About how long is the average daily travel time for Mexico City workers, including the several million who commute into the city from the surrounding states? Mexico is home to six of the world’s seven species of marine turtles, all of which are on the international Red List of endangered or critically endangered species. Which of the following is NOT thought to be a threat to the success of marine turtle breeding? What is the definition of the type of rock known as a tuff, found in many parts of Mexico? Welcome to our seventh quiz about the geography of Mexico. According to the 2010 Census, approximately what % of Mexico’s population lives in big cities (population of 500,000 or greater)? Which of the following states has suffered the worst floods over the past decade? Which agricultural crop is represented by this map? Which of the following indigenous groups has ancestral lands that lie on either side of the Mexico-USA border? 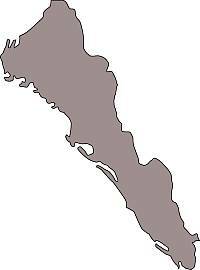 Which of Mexico’s states has this shape? The archaeological site of Teotihuacan near Mexico City was restored and opened for mass tourism in time for which major national celebration? This photograph was taken in which of Mexico's many UNESCO World Heritage Sites and Biosphere Reserves? What name is given to the wetland farming system dating back to Aztec times (but still used today) involving the construction of raised beds, separated by canals, in a lake? Which of the following five states has several Mennonite communities? Welcome to our sixth quiz about the geography of Mexico. A speech in the town of Dolores by priest Miguel Hidalgo marked the start of Mexico’s War of Independence in 1810. Dolores (now Dolores de Hidalgo) is in the state of Guanajuato. Which of the states marked on this map corresponds to Guanajuato? In addition to Jalisco, genuine tequila can only be produced in which of the following states? ﻿See The geography of tequila: where is tequila made? The palm-roofed shelters commonly found on the coasts of Mexico called “palapas” are thought to be an architectural import from which country? See When does it rain in Mexico? Which of these states is associated with archaeological sites, chicle (chewing gum), hotels, coral reefs and karst (limestone) scenery? The main landform in this photo is an example of which of the following? The 520-meter-long Baluarte Bridge is the tallest cable-stayed bridge in the world. It is on the new highway (due to open later this year) between which two cities? Approximately how many UNESCO-denominated Biosphere Reserves are there in Mexico? 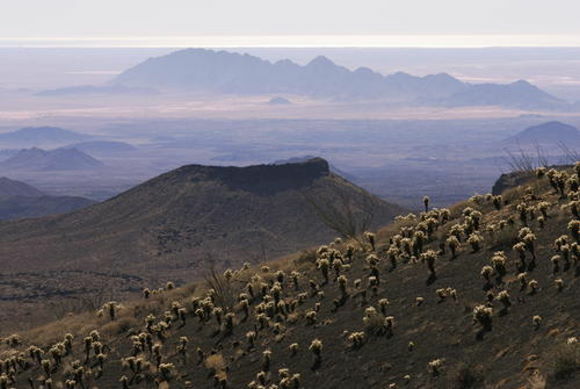 As of July 2011, Mexico had forty UNESCO-designated biosphere reserves [Jul 2011]. It has since added one more. What is the name of Mexico’s highest waterfall? Welcome to our fifth quiz about the geography of Mexico. Which of these five states makes the largest contribution to Mexico’s economy (as a % of Mexico’s GDP)? Approximately how many Mexicans (over the age of 5) were recorded in the 2010 Census as speaking an indigenous language (such as Maya, Nahuatl, etc)? ﻿young people that neither work nor study. 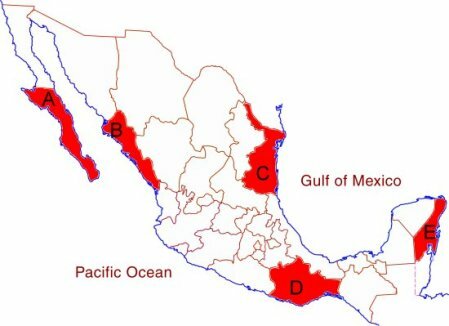 See ﻿Mexico's changing society: the phenomenon of "los ninis"
Mexico has land/river borders with which of the following countries? Which river system in Mexico has the greatest flow? Mariachi music is most closely associated with which of these states? Which of the following is NOT a reason why the world’s largest salt works is located in Baja California? See ﻿Why is the world’s largest salt-works in Baja California Sur? Which of the following shows the strongest statistical connection to the net migration (emigrants minus immigrants) of Mexicans to the USA? See Is massive migration of Mexicans to the USA a thing of the past? Excluding beer and tequila, which of the following is Mexico’s most valuable agriculture-related export? Welcome to our fourth quiz about the geography of Mexico. See Are Mexico's large cities growing faster than small cities? Approximately what percentage of Mexico’s 35.6 million households has at least one refrigerator? 82.1% in 2010 - See Key geographic indicators from Mexico's 2010 Census If you chose 90%, give yourself an extra 5%! Approximately how many people die each year in Mexico from scorpion stings? The Guelaguetza is the major cultural festival (held in July) in which state? 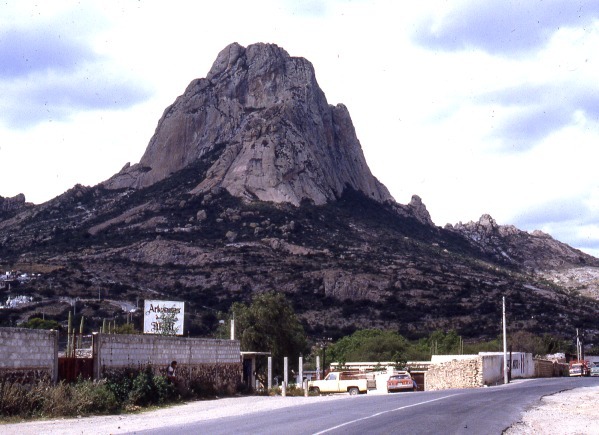 6 Where is Las Tuxtlas Biosphere Reserve? Which of the following are advantages of mixed cropping (sowing several different crops more or less at random in an area) over monoculture (growing a single crop in a field)? Which city has become Mexico’s main aeronautical manufacturing center? In which of these months is a hurricane most likely to strike Mexico’s Caribbean coast? See In which months are hurricanes most likely to strike Mexico? Hmm... Geo-Mexico is the book for you! 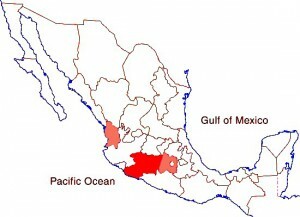 Welcome to our third quiz about the geography of Mexico. Marimba music is most closely associated with which of these states? Of these five languages, which is the one most commonly spoken in Mexico (with about 1.6 million speakers, about twice as many as any of the other four)? 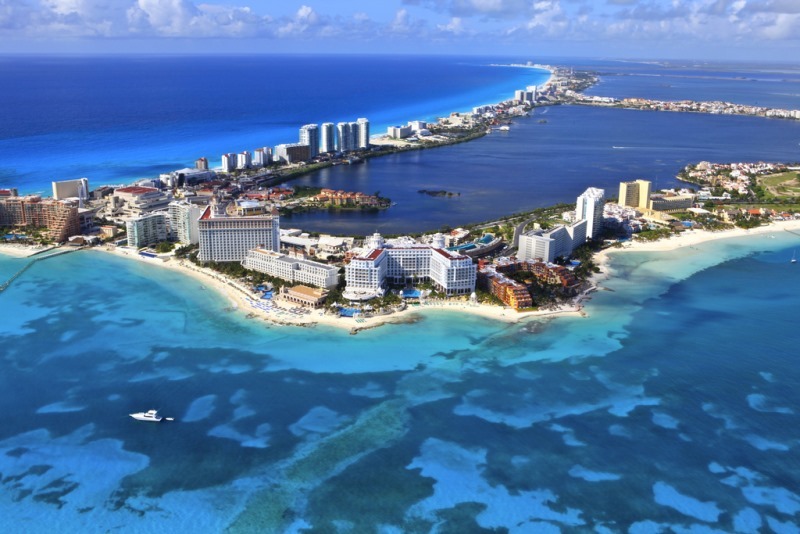 Approximately how many hotel rooms existed in 2010 in Cancún, Mexico's leading resort city? The movement of which of the following tectonic plates is responsible for earthquakes off the west coast of Mexico? In 1870, which city did Guadalajara overtake to became Mexico’s second largest city in terms of population? The wettest place in Mexico is Tenago in the state of Oaxaca. On average, approximately how much precipitation does it receive each year? The “Chinese Indians”, who settled in Mexico in the seventeenth century, bringing with them new fruits (including mangoes), distincive architecture using palm trees (the origin of “palapa”) and distillation stills (for making coconut brandy), came from which country? In the year 2000, the median age of the Mexican population was 22 years. What was the median age in 2010? This time, if you answer a question incorrectly, you can have more attempts at each question before the answer is revealed. We hope you will enjoy this new quiz about Mexico's geography. 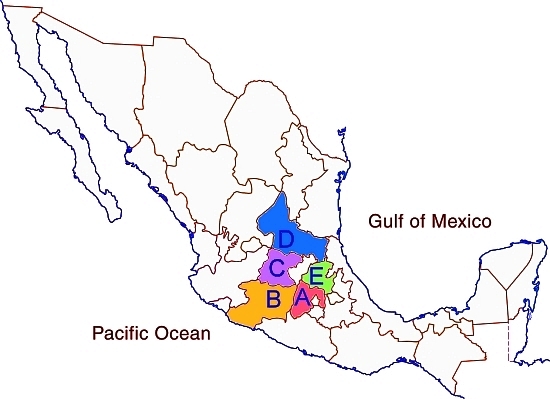 Counting Mexico's Federal District as a state, how many states are there in Mexico? Which is the easternmost state in Mexico? What is the name of Mexico's highest volcano? Which of the following metropolitan areas was not one of Mexico's ten largest (in terms of population) in 2010? See Table 21.2 of Geo-Mexico, the geography and dynamics of modern Mexico Buy your copy today! 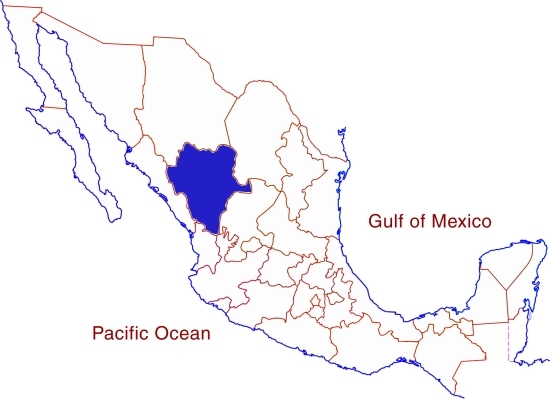 About how long is Mexico's coastline, according to INEGI (Mexico's National Statistics Institute)? Actually it all depends! 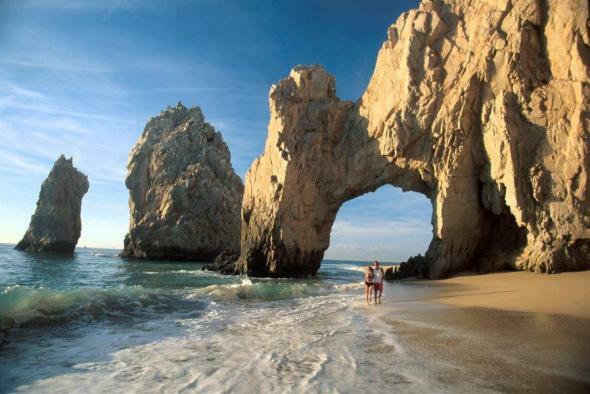 See How long is Mexico's coastline? Which of the five states highlighted on the map have a functioning, modern, centrally-planned (FONATUR) tourist resort? What was the average life expectancy (at birth) for males born in Mexico in 2010? Which of the following was a famous European naturalist who explored New Spain in 1803-1804 and subsequently developed many original ideas related to physical geography? British scientist, but the ship on which he traveled, "The Beagle", did not visit Mexico. This French scientists, primarily a biologist and cacti collector, wrote An early scientific account of Lake Chapala, Mexico’s largest natural lake. He first visited Mexico in about 1837. 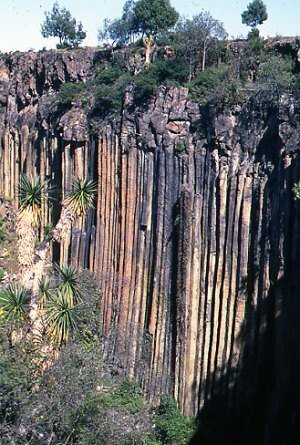 What kind of rock sometimes forms columns or prisms like these at San Miguel Regla in the state of Hidalgo? What is (or was) Ixtoc 1 ?